In an effort to minimize the damage caused by pollution incidents and fish/wildlife kills, KAST members participate in workgroups and committees, providing guidance to avoid or lessen impacts to fish and wildlife resources, associated habitats, and water quality. Members also address fish and wildlife concerns associated with projects that require state and federal permits and help with contingency planning for oil spills and other pollution events. 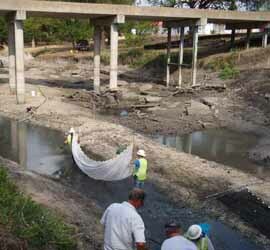 KAST biologists are active participants in Texas Parks and Wildlife Department's Water Quality Program. Seismic exploration is an important tool used by the oil and gas industry throughout the state of Texas. During seismic exploration activities, fish and wildlife resources can be affected. 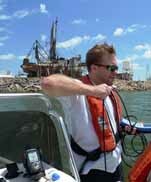 TPWD works with private companies to help mitigate the effects on our state's natural resources. Sometimes, construction and maintenance projects require the temporary diversion of water from streams, ponds, lakes, stilling basins, and other flood control structures. These activities can have a negative effect on aquatic organisms and their habitat. A permit is required to relocate organisms (such as fish and freshwater mussels) out of harm's way before performing the work. For the protection of aquatic life, project proponents should go through the Aquatic Resource Relocation Plan guidelines prior to applying for the permit to relocate organisms. 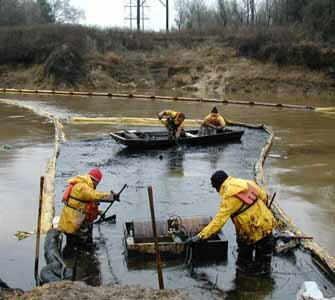 Additionally, KAST biologists are on site for much of the dewatering process and relocation of aquatic life. KAST members are not first responders to oil or chemical releases, but they often support on-scene coordinators, providing guidance to minimize impacts to habitat, fish and wildlife resources. Team members oversee and record the recovery, rehabilitation and loss of wildlife resources associated with events. Impacts to habitat are also documented for Natural Resource Damage Assessment (NRDA) trustee evaluation. KAST members serve on response committees and workgroups, helping to generate plans and procedures to streamline the decision process for responders. These efforts can help minimize impacts and response time as an event unfolds.